In western Austria on the Salzach river lies Salzburg, a city that looks straight out of a fairytale. Known as the birthplace of Mozart and the backdrop for The Sound of Music, there are a few things that many don’t know about the Austrian city. 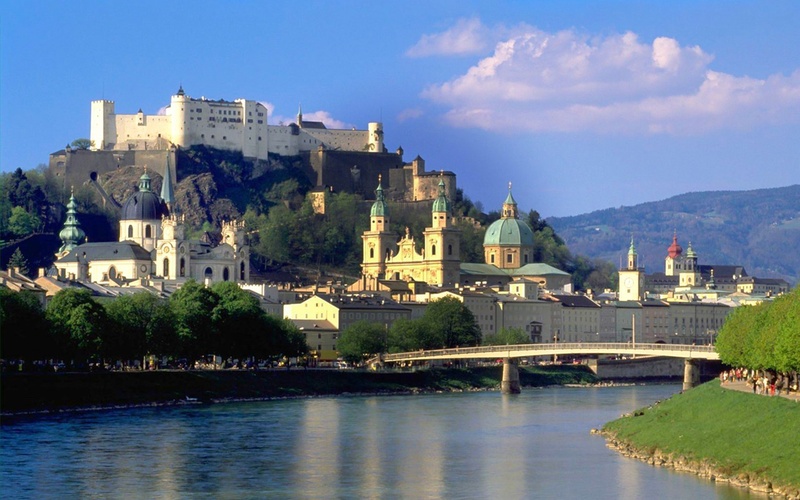 With a rich mining area around the city, the name Salzburg, meaning “salt fortress,” was given to the city. The name has been documented since the eighth century. A part of the Mirabell gardens, the Salzburg gnome garden features little statues with faces that look like caricatures, which make for great photo opportunities. Some of the gnomes are featured after real people that lived at the court of Prince Archbishop. Today, after centuries in existence, the garden is incomplete with gnomes that have gone missing and some that have been moved to other locations. Salzburg was the birthplace of Mozart and visitors can visit where he wrote some of his pieces. The Zauberflötenhäuschen, a little hut were he composed his music, can be found in the gardens of the Mozarteum foundation. Mozart was allegedly locked inside of the little hut in order to meet his composing deadlines. The setting for this famous film staring Julie Andrews was the city of Salzburg and the surrounding area. The proximity of the city to the Alps made for a beautiful movie set. Today it is still possible to visit many of locations where the movie was filmed. The movie is considered the second most successful movie of all time behind Gone with the Wind. The city’s existence goes back for centuries but even more remarkable is the monastery that has existed for more than one millennium. Built in 696, St. Peter’s is a Benedictine monastery and is considered one of the oldest monasteries in the German-speaking area. St. Rupert, who was the first bishop of Salzburg, founded the monastery and is buried in St. Peter’s. 6. We Mean Really Old! Salzburg has been inhabited by a number of different groups of people. Traces of human existence in the area dates back to the Neolithic Age. In the fifth century, the Celts were the first people to create settlements followed by the Romans and finally the Germans.